The secret to getting your carpet really clean lies in the hands of the skilled, certified cleaning technicians at MasterDry and the powerful, hi-tech truck mount system that we use. Combine that with our safe, non-toxic chemicals and we guarantee you will love the look and feel of your freshly cleaned carpets. 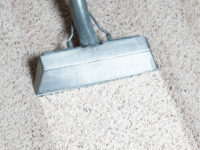 The best method for cleaning a particular carpet is dependent on a range of factors. All carpet cleaning methods offer various advantages, but also have some limitations. No single method is superior to all others. Properly performed under appropriate conditions, each method can provide satisfactory results. Your MasterDry technicians are skilled in all carpet cleaning methods. We provide truck-mounted "steam" cleaning, portable hot water extraction, and low moisture carpet cleaning methods. Rest assured, your carpet will be cleaned with the appropriate method for maximum effectiveness. Call MasterDry at 877-653-5663 to get started right away.